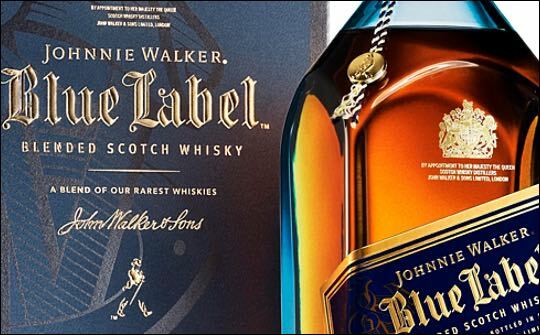 Diageo Global Travel and Middle East (GTME) held an event at TWFA Cannes to celebrate the new Johnnie Walker global campaign: 'Joy will take you further' and give an insight into how the campaign’s ethos will shape its wider plans for travel retail. The campaign champions the power of joy in driving progress, and the event featured a panel discussion on the potential of joy on the shoppers’ experience, the joy of giving and how joy was harnessed to create a new short film for Johnnie Walker – The Gentleman’s Wager II. Guests at the event were shown an exclusive trailer of the new film, introduced by Oscar-nominated Italian actor and star of the film, Giancarlo Giannini. Joining Giancarlo Giannini on the panel were: Dr. Matt Killingsworth, leading psychologist and happiness expert; Doug Bagley, managing director for Diageo GTME and Peter Fairbrother, global marketing director for Diageo GTME. Dr. Killingsworth explained the background to the campaign and the science of happiness. He explained how the study of joy and progress shows us that happiness makes success more likely. At the event a short film of an experiment developed in partnership with Dr. Killingsworth, who studies human happiness, was shown. The experiment – called Gratitude - showed how those who buy gifts for others gain more from the experience than those buying gifts for themselves. Doug Bagley commented: “We’re at a really interesting juncture for travel retail. Passenger numbers and average spend are increasing year on year, with new airports opening rapidly to meet the demand. Yet whilst the channel is growing, there are a number of challenges that make it increasingly competitive, and consumers are faced with a growing number of competing distractions at airports. The reality is that of 100 people who go into an airport, currently only 12 will buy alcohol - so that’s a huge opportunity for us and our customers.